PLEASE NOTE: Two patrilineal descendants of our subject through his son, John Alexander Campbell THOMPSON, have been Y-DNA tested; and they are a tight match (see results). We are seeking additional male THOMPSONs who descend from Thomas on a patrilineal (direct male) line to also be DNA tested. We are especially seeking someone who is not a descendant of John Alexander Campbell THOMPSON. Please contact me if you are such a descendant or know of one. In the 1900 Census, Delilah's son, George, says his mother was born in Virginia. This location seems highly unlikely given that her father was in the 1790 census of Pendleton Co., SC, and was a taxpayer in Christian Co., KY, by 1797. In the 1880 census, Delilah's son, John A.C., says his mother was born in KY; and in the 1900 and 1920 censuses, Delilah's daughter, Mary Ann, says her mother was born in KY. Kentucky seems far more likely to be correct, on several counts. 1? Joseph THOMPSON, b. 1816; d. bef. 1830? 3? (Son A) THOMPSON, b. 1820-25; d. bef. 1840? Except for the ages and birthplaces of his children as given in the 1850 and later censuses, there is a total void of information on the whereabouts of Thomas THOMPSON between his marriage to Delilah DAVIS in 1815 in Christian/Todd, Co., KY, and his 1821 land patent in Boone Co., MO. Daughter Sallie's birthplace should help us, but there is a conflict among sources as to her birthyear. The big question is: if Thomas was in KY between 1815 and 1821, why does he not appear in the census or on the tax rolls? One may escape the census — and Thomas's father surely did in 1820 in Todd Co. — but you rarely escape the tax collector, and certainly not for six years. 1816? birth of son, Joseph? 1820 Missouri Territory: Boone Co. formed from Howard Co.
bef. 1830 death of son, Joseph? 1837 MO: Livingston Co. formed from Carroll Co.
bef. 1840 death of Son A? aft. 1840 birth of Son B? 1841 MO: Grundy Co. formed from Livingston Co.
1850 CA death of a son — Son B? ANNOUNCEMENT: There is a mailing list for researchers of the genealogy and family history of Thomas THOMPSON and kin, including his sister, Rachel THOMPSON and her husband, William T. WYATT, and the ancestors of Thomas's wives, Delilah DAVIS, Susannah JONES, and Mildred Bell CAVE. Please join and share in the research. To subscribe, visit this web page and follow the instructions. The Connections between Daniel BOONE and Delilah DAVIS. The Convoluted Connection between Adam THOMPSON and Thomas THOMPSON. 1) A photograph of "Mr. and Mrs. Thomas THOMPSON," the origin of which is unknown to me, though it is clearly from a book. In the photograph, both Thomas and Mildred are elderly and in a seated position, shown from about hip-level upwards. Thomas appears to be holding his "gold-headed cane," the one mentioned in E.B. Ware's book. 2) A photograph of "Thomas THOMPSON and Wife" that is the frontispiece of E.B. Ware's (1916) book on the History of the Disciples of Christ in California. This is a full figure portrait, with Thomas sitting and his wife, Mildred, standing; both are elderly. 3) A group photo of "Pioneer Preachers" in E.B. Ware's book (1916) on the History of the Disciples of Christ in California. Thomas THOMPSON is seated front row, center, holding a cane. 4) There is a photograph of Thomas THOMPSON taken just of his head and shoulders. He appears to be at his most advanced age with a great shock of white beard and long flowing hair. The photo appears as the frontispiece of Now and Then, a 1977 book by Norman Warren on the history of the Christian Churches in Stockton, CA. 5) There is a photograph of a young man named "THOMPSON" from Jonathan Smith's book, The Campbellite Story (kindly provided by the Disciples of Christ Historical Society, Nashville, TN). I do not believe it to be a photograph of Thomas THOMPSON, but it may be an image of John THOMPSON, noted figure in the early Campbellite movement. 6) My late grandmother, Anna California (ROSE) MATTHIESEN, recalled to us that when she was a girl, she remembered visiting a church where there was a painting of Thomas THOMPSON and his wife, Mildred, prominently displayed. One reason the visit stuck in her memory was that "quite a fuss" was made over her and her sister, as descendents of this great man. Amongst Ann's descendants, there seem to be two versions of where and which church this was. One is that it is/was the Christian Church in Stockton, San Joaquin Co., CA, and the other is that it is/was the "Vue du Lac" Christian Church in/near Santa Cruz, Santa Cruz Co., CA. When I get back to California (some day <sigh>), I hope to locate the church and the portrait to take a good photograph of it (assuming I would be allowed to do so), in which case I will make prints available (at cost) to anyone who wants one. If you are in California and can beat me to it, please feel free to do so! 1a. Marriage Bond of Thomas THOMPSON & Delilah DAVIS. 1b. Marriage License and Minister's Return of Thomas THOMPSON & Delilah DAVIS. Thompson, Thomas Davis, Deliah 11 Dec 1815 KY Christian Co.
Thompson, Thomas Davis, Delilah 21 Dec 1815 Christian Co.
Finis EWING is the preacher who married them (see link to minister's return, above). Henry Clark DAVIS is Delilah's brother. Based on the marriage bond itself (see link above), Henry and Thomas, together, posted bond. Thompson, Thomas Jones, Susunnah 19 Feb 1845 Monroe Co.
Thompson, Thomas Lane, Milley 31 Aug 1847 Boone Co.
2. 1820 U.S. Census Index (online at GenealogyLibrary.com): not found in Christian or Todd Co., KY, but neither was Thomas's father, Peter THOMPSON, and we know Peter was there because he shows up on the tax rolls from 1799 to 1826. 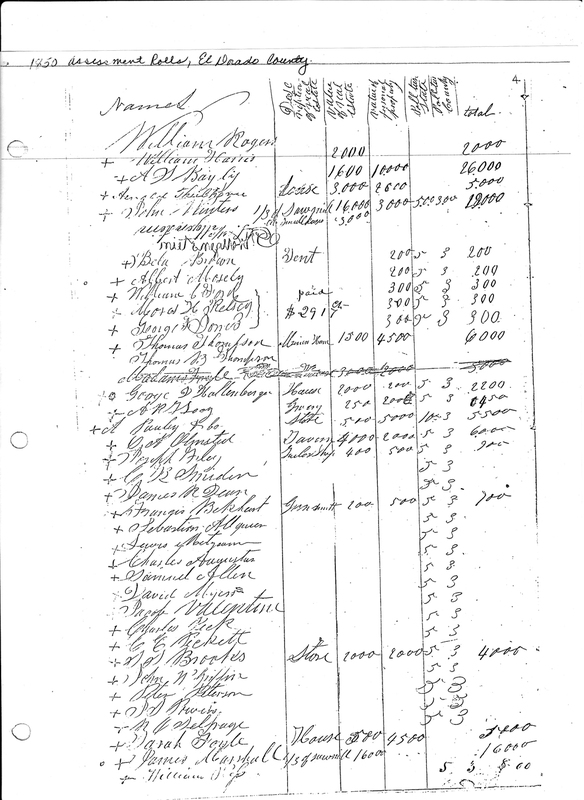 Thomas never shows up on the tax rolls of Christian or Todd Co., though the 1818 tax roll of Christian Co. is missing and the 1820 and 1821 tax rolls of Todd Co. are unreadable. Missouri did not become a state until 1821, so there was no 1820 Census in Missouri. 1 male 50-59 1770-1780 = ? This record raises some questions. You hate to attribute everything to enumerator error, but they certainly made them. Then again, it's more the rule than the exception for a household to contain individuals who were not part of the nuclear family, and this is especially true in the household of a clergyman because they, more than anyone else, are likely to take in non-family members. So, despite being tallied in the wrong age class, it's difficult to believe this is not our subject because 1) he is supposed to be in Boone Co. at this time; 2) this household is just 16 lines from widow Mildred (CAVE) WESTERFIELD (Thomas's future third wife) and Henry CAVE (Mildred's father) and 3) some enumerators really were careless. The two older girls cannot be their daughters. They are the right age to be Thomas's or Delilah's siblings. Are these two of their unwed sisters? There is no other Thomas THOMPSON indexed in Missouri. Listed two households from daughter Sarah (THOMPSON) REED. There were only 31 households in all of Washington Twp. There was one other THOMPSON in the township: Patrick (age 20-30), with a wife and two children. 5a. 1850 U.S. mCensus Index/Microfilm (online at GenealogyLibrary.com). The index on the CD says "Union Town," but the location field on pages 378A to 382A is blank. The entries for Union Town end on p. 377B; the entries for "South Fork of the American River" begin on p. 382B, and every page before and after is labeled with the location. The record (extracted by Diana Gale Matthiesen) reads: El Dorado Co., CA, p. 378A, 6/6, enumerated 24 Oct 1850. Isaac D " 33 M Physician "
Thos B " 19 M None "
Geo " 16 M Laborer "
Francis F " 14 F "
Wm H H " 10 M "
Allen W " 5 M "
Marcus L Cave 23 M Miner "
Wm W Cave 25 M " "
Jas McCann 36 M Miner Mo? Thomas should be 53 years old and Mildred should be 52. Mary Ann (THOMPSON) ERVIN/IRVIN is a widow at this point. Where is her daughter, Delilah? And why is she not called Mary IRVIN? The two young CAVE men (sorry, couldn't resist) are the right age to be Mildred's nephews. 5b. 1850 Tax Assessment, El Dorado Co., CA (image courtesy of Carol Mahoney): Thomas THOMPSON is listed along with his son, Thomas B. THOMPSON. Their location is given as "Union Town," which clears up the uncertainty of his location in 1850. What the Numbers in the Federal Census Mean (missing columns contained no data.). Is Amelia actually Mildred? If not, who is she and where's Mildred? Who is Daniel? Could the girls be some of the THAXTON slaves? "Ellen" has to be son "Allen." Thomas Henry LAINE is Thomas's step-son, the son of Willis & Mildred Bell (CAVE) LAINE; Lucy is his wife. James ANDERSON is the husband of Margaret Frances THOMPSON, Thomas's daughter. Listed next to William CAVE (æ 33, b. MO), who is next to William C. JONES (æ 53, b. KY, wife Margaret). Susan and Sunola appear to be the children of Thomas B. THOMPSON, whose wife has apparently died. 9. Transcription of the Will of Thomas and Mildred THOMPSON. 10. Anon. 1993. Christian County, Kentucky, Wills and Estates, 1815-1823: Christian County Will Book C. T.L.C. Genealogy, Miami Beach, FL. p. 66 Page 248. Inventory of the sale of the personal estate of John Roberts deceased. Purchasers ... Thomas Thompson .. Recorded Aug Term 1819. One or both of these records could apply to the other Thomas THOMPSON in Christian County at this time. 11. Diagrammatic Representation of Boone County, Missouri, Land Patent Plat Maps (proximate source: photocopies courtesy of Betty Ann (Matthiesen) Cogliati; ultimate source: presumably the book of Original Land Patents kept by the Boone County Recorder of Deeds, as mentioned in the next source). 12. Nadine Hodges, Mrs. John vineyard, & Mrs. Howard W. Woodruff. 1968. Missouri Pioneers: County and Genealogical Records. Vol. 2. Self-published, Kansas City, MO. Sadly, compilers did not consistently or completely label each list of names; I had to make some deductions based on the contents of the lists. Because of the limitation set by the compilers as to date, their indices of these plats name only a fraction of the patent-holders for each plat — although, even (or especially) with the date limitation, they should not have missed Thomas in T48N.R13W. 13. According to the Bureau of Land Management online Land Patent database, a Thomas THOMPSON received the following Land Patents in Missouri. 08 Jun 1833 No. 04562 W½ NE¼ S25.T51N.R13W 82.75 a Boone Co.
14 Nov 1833 No. 03536 E½ NE¼ S19.T54N.R11W 80 a Monroe Co.
No. 03537 W½ SW¼ S20.T54N.R11W 80 a Monroe Co.
15 Oct 1834 No. 03766 W½ NE¼ S19.T54N.R11W 80 a Monroe Co.
13 Oct 1835 No. 04299 E½ SE¼ S20.T54N.R11W 80 a Monroe Co.
No. 04300 E½ NW¼ S27.T54N.R11W 80 a Monroe Co.
21 Oct 1835 No. 06580 W½ SW¼ S22.T54N.R11W 80 a Monroe Co.
01 Aug 1838 No. 14686 E½ NE¼ S21.T54N.R11W 80 a Monroe Co.
W½ SE¼ S21.T54N.R11W 80 a Monroe Co.
01 Sep 1838 No. 13044 NE¼ SE¼ S21.T54N.R11W 40 a Monroe Co.
01 Apr 1839 No. 17412 E½ NW¼ S22.T54N.R11W 80 a Monroe Co.
No. 18668 E½ SW¼ S9.T53N.R13W 80 a Randolph Co.
No. 18669 W½ SE¼ S9.T53N.R13W 80 a Randolph Co.
01 May 1843 No. 17034 W½ SE¼ S18.T63N.R24W 80 a Grundy Co.
No. 17035 E½ SE¼ S17.T63N.R24W 80 a Grundy Co.
No. 17036 SW¼ S18.T63N.R24W 80 a Grundy Co.
No. 17037 W½ NE¼ S19.T63N.R24W 80 a Grundy Co.
No. 17076 SE¼ S20.T64N.R24W 160 a Mercer Co.
No. 17986 W½ NE¼ S20.T63N.R24W 80 a Grundy Co. The county names given in the rightmost column above, after the number of acres, must have been added later, probably when the database was computerized, because the only county name indicated on the original certificates is the county of residence of the purchaser; the location of the land is given only in Aliquot, Section, Township, and Range. 14. Diagrammatic Map of the Missouri Land Patents Procured by Thomas THOMPSON. The above was prepared by Samuel Curtright, Justice of the Peace. Delila signed with an "X"... The transaction was recorded on 19 Mar 1838 by Tho. S. Miller, Recorder for Monroe Co. The color-codes match the previous table (Source 12, above) showing land patents of Thomas THOMPSON. The sale of a parcel not in the table of patents (not colored here) means either the original patent record is missing from the BLM database or, much more likely, that Thomas bought a parcel of land that had already been patented by someone else. The same Justice and Recorder prepared this sale. It was filed 25 Oct 1838. 16. The 1867 Great Register (of voters). Extracted 21 Oct 1998 by A. Robert Matthiesen at the San Jose Historical Museum, Pacific Hotel Bldg., Senter Rd., San Jose, CA. Also in register: son, William Henry Harrison THOMPSON. 1. T.M. Allen. 1843. "News from the Churches: Letter(s) from T.M. Allen." The Christian Messenger 13(2): 62-63; 13(3): 94-95 [photocopies courtesy of Betty Ann (Matthiesen) Cogliati]. Mention of Thomas THOMPSON and three other family members who were Disciples preachers (viz., Winthrop Hartly HOPSON, William REID, Jr., and Elijah English CHRISMAN). This son cannot be Isaac because Isaac died in 1856 in Missouri. He cannot be James Henry because James was alive and enumerated in the Missouri Census on 5 Aug 1850 — though dead before 1860 because his wife shows up a widow, still in Missouri, in 1860. This son had to be an unmarried youth without issue because Thomas's will of 1871 mentions only two deceased sons with heirs, and those had to be the children of the deceased Isaac and James. 4. W.W. Stevenson. 1852. [Letter to Alexander Campbell, ed.] The Millennial Harbinger, p. 536 (photocopy courtesy of Betty Ann (Matthiesen) Cogliati). 5. T. Thompson. 1863. "Obituary Notices: Solomon Rogers." The Millennial Harbinger 6(10): 479-480 [photocopy courtesy of Betty Ann (Matthiesen) Cogliati. 4a. Thomas Thompson. 1871 (January). [Letter to Bro. Johnston, ed.] The Bible Expositor 1(1): 38 (microfilm courtesy of Abilene Christian College, TX; photocopy courtesy of Dr. James V. Spickard, University of Redlands, CA). 4b. T. Thompson. 1871 (April). "What Think Ye of Christ? — Whose Son is He?" The Bible Expositor 1(6): 140-141 (microfilm courtesy of Abilene Christian College, TX; photocopy courtesy of Dr. James V. Spickard, University of Redlands, CA). 4c. Martin Peterson. 1871 (July). [Letter to Bro. Johnston, ed.] The Bible Expositor 1(7): 268-270 (microfilm courtesy of Abilene Christian College, TX; photocopy courtesy of Dr. James V. Spickard, University of Redlands, CA). 4d. T. Thompson. 1871 (August). [Letter to Bro. Johnston, ed.] The Bible Expositor 1(8): 313-314 (microfilm courtesy of Abilene Christian College, TX; photocopy courtesy of Dr. James V. Spickard, University of Redlands, CA). 4e. J.M. Case & Thomas Thompson. 1871 (September). "California Annual State Meeting of the Christian Church." The Bible Expositor 1(9): 353-354 (photocopy courtesy of the American Antiquarian Society, Worcester, MA). 4f. T. Thompson. 1871 (September). [Letter to Bro. Johnston, ed.] The Bible Expositor 1(9): 357 (photocopy courtesy of the American Antiquarian Society, Worcester, MA). 5. William F. Switzler. 1882. History of Boone County, Missouri. Western Historical Co., St. Louis, MO. An excerpt on the Red Top Christian Church mentions Thomas THOMPSON and his father-in-law, Isaac DAVIS, as early pastors of the church. Note that Thomas McBRIDE was a founding Elder of the Red Top Church, in 1822. According to Alley (1952), McBRIDE was responsible for Thomas's "conversion" to Christianity. However Ware (1816) tells us Thomas THOMPSON was first a Baptist and was then converted to Restoration views by McBRIDE. This latter view is confirmed by Rushford (1980-Part 1) showing, in a letter by Thomas himself, that he, like Alexander CAMPBELL, was initially a Baptist, and that, in 1824, it was Thomas McBRIDE who introduced him to the writings of Alexander CAMPBELL. By 1825, Thomas THOMPSON was fully won over and in communication with CAMPBELL. 7. Anon. [c1911] "Death Notices: Mary A. Thompson Spickard." Grundy County Gazette, Grundy Co., MO. This obituary appears to be the source for Delilah's burial on the Austin Farm in Grundy Co., MO. 8. Anon. 4 Nov 1913. "The Church of Christ in Santa Clara, California." Santa Clara News, Santa Clara, CA (photocopy courtesy of A. Robert Matthiesen). 9. E.B. Ware. 1916. History of the Disciples of Christ in California. Healdsburg, CA (book inherited from Betty Ann (Matthiesen) Cogliati). Excerpt under the heading: "Pioneer Preachers: Thomas Thompson and J.P. McCorkle." 10. Winfred Ernest Garrison. 1931. Religion Follows the Frontier: a History of the Disciples of Christ. Harper, New York (photocopy courtesy of the California State Library via Betty Ann (Matthiesen) Cogliati). p. 217 movement, it will be sufficient to pass as hastily as possible across the mountain country, as the 'forty-niners themselves did, and come to California. Within two years after the discovery of gold at Sutter's Mill there were two congregations in California, one at Stockton and one at Santa Clara. These were the product of the work of Thomas Thompson, the first Disciple preacher in the state. He looked like Horace Greeley, and had money enough to evangelize at his own expense and religious zeal enough to devote his time to that work even when everyone else was in a fever of eagerness to find gold. The first state meeting of which there is definite record was held in Vaca Valley, in October, 1856, though there are references to an earlier one at Stockton. The state meeting became annual camp meetings, the first of which was held at Yountville in 1858. This grew into the assembly at Santa Cruz with its permanent camp-ground upon which the northern California convention is still held. 11. Benjamin Smith. c1941. The March of the Years, 1851-1941. Mentions Thomas THOMPSON, as quoted by Warren (1977, see below). Benjamin SMITH (1877-1971) seems to have been a Disciples preacher/writer because he has a biographical folder at the Disciples of Christ Historical Society. It may be worth tracking down his writings to see if there is futher mention of Thomas. Elder Thomas Thompson, a preacher of the Disciples of Christ, located at Gold Run in Placer County after his overland trip. 13. Walter C. Allen. 1948. The Society of California Pioneers: Centennial Roster, Commemorative Edition. Society of California Pioneers, San Francisco, CA. See this page, in which Thomas H. LAINE gives the arrival date of their wagon train in California as 20 Sep 1849. 14. James Matthew Alley. 1952. "California's First Restoration Preacher." Christian Standard J1: 469-470 (photocopy courtesy of Betty Ann (Matthiesen) Cogliati; used by permission of Standard Publishing, Cincinnati, OH). 15. Clifford Adair Cole. c1959. The Christian Churches (Disciples of Christ) of Southern California: a History. Christian Board of Publication, St. Louis, MO. Excerpt mentioning Thomas THOMPSON under the heading, "The Disciples of Christ in Northern California" (transcription courtesy of Carol Mahoney). 16. Norman La Grand Warren. 1977. Now and Then: an Historical Study of the Times and Events of the Stockton, California, Churches of Christ arranged in a Chronological Order. Pioneer Publ. Co., Fresno, CA. Frontispiece and excerpt. 17. Jerry Rushford. 1980. "A Pioneer Preacher in California," published in four parts in Firm Foundation (photocopies courtesy of Betty Ann (Matthiesen) Cogliati; used with permission). Eld. Thomas Thompson, of the "Disciples," died in Santa Clara, April 21st, aged 74 years. 1792, Kentucky achieved statehood and Logan Co. was formed from Lincoln Co.
Peter THOMPSON does not appear on any extant tax roll in any county in Kentucky until he appears on the Christian Co. tax rolls in 1799. There is no reason to doubt Thomas THOMPSON's birth date of 7 Jul 1797; and in the 1850, 1860, and 1870 censuses, Thomas consistently gives his birthplace as Kentucky (as do his children in later censuses). It appears Peter was in Kentucky by 1797, but not in Christian County until 1799. B. It has been said that William and Frances Jackson (MILLS) THOMPSON of Virginia are the parents of John Thomas THOMPSON, who is our Thomas THOMPSON. I discuss that impossibility on their family group sheet. C. Thomas THOMPSON is said to have written an "autobiographical sketch" that was published in The Bible Expositor, a monthly magazine for members of the Christian Church (Disciples of Christ). The editor/publisher was Alexander JOHNSTON, Santa Rosa, Sonoma Co., CA (printed in San Francisco by "Jos. Winterburn & Co., Printers and Electrotypers"). My understanding is that the magazine was published for only four years, from 1871 to 1874 (monthly). Given that Thomas THOMPSON died in April of 1872, we would expect an autobiography to appear in 1871 or 1872 (Vols. 1 or 2). This publication is extremely difficult to find, but Karen Ferraro and Carol Mahony managed to locate a microfilm of Vol. 1 (1871) at Abilene Christian College in Abilene, TX. Dr. James V. Spickard (University of Redlands) was able to borrow the film on interlibrary loan and check it for mention of or writtings by Thomas THOMPSON (these items have been transcribed and links to the transcriptions are in the Sources above). Vol. 1 did not contain the hoped-for autobiography. We still desperately need to find Vol. 2 (1872) of The Bible Expositor. It is possible that further issues might be located by writing every Christian/Disciples Church in northern California (or a wider geographic area if necessary), asking if they have the publication in their church library. It's on my "to do" list, but feel free to beat me to it! D. In the LDS International Genealogical Index (online), there is a Thomas THOMPSON born 1797 in Fleming Co., KY, son of Lawrence and Mary THOMPSON. He is not our Thomas THOMPSON. The one in Fleming Co. was still there in the 1830, 1850, 1860, and 1870 censuses. In the 1850 Census of Fleming Co., this Thomas THOMPSON is 53 years old, so there is little doubt that he is the same Thomas THOMPSON who was born there in 1797. Major Contributors to this page: Karen Ferraro, Phyllis Houlding, Carol Mahoney, Dr. James V. Spickard, Carol Moore Manoukian.